It goes down June 10 at the Dreamland in Kent. Gorillaz have shared a video announcement for the first-ever Demon Dayz festival, curated by the animated band. The roster so far includes Danny Brown, Vince Staples, Little Simz, Kali Uchis, Popcaan, De La Soul, and more. 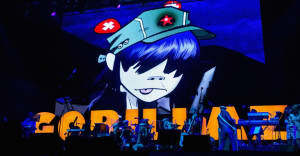 Many of the acts were featured on the new Gorillaz album Humanz, which dropped in April. Watch the announcement above. The Demon Dayz Festival takes place on June 10 at the Dreamland in Margate, Kent. It will livestreamed on Red Bull TV. This year Gorillaz will tour North America and the U.K.
Read The FADER's review of the new Gorillaz album Humanz here.